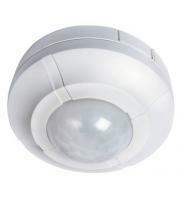 Keep your property safe and intruders at bay with PIR ceiling lights. These easy to install fixtures are available from a variety of manufacturers at Direct Trade Supplies, and allow you to be alerted to any unauthorized or unwanted movement throughout your property. 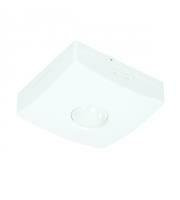 Rather than buying separate lighting fixtures and motion sensors, get the best of both with PIR ceiling lights. These models come in simple designs that are easy to fit into the ceiling in your commercial or domestic property, and are an energy-efficient solution to monitoring trespassing or unauthorized access in your building. It is often the case that buildings have rooms like storage facilities, staff bathrooms or offices that are rarely in use, yet they still have lighting on during operating hours. This unnecessary use of power can cause excessively high-energy bills, something that can easily be avoided with technologically advanced PIR ceiling lights. In addition to being an attractive light fixture on it's own, a PIR light uses infrared technology to pick up on body heat in a room. When it is detected, the lights will automatically switch on, and turn off after a set time once that heat is no longer present. Many products come with a timer so you can optimise the time in which your motion sensor ceiling light works to lower energy wastage even more. Some intuitive models such as the Honeywell PIR Motion Sensor Detector come with pet tolerance, so you don't have to worry about false alarms caused by pets or small animals. You can set the timer on PIR ceiling lights to allow for automatic shut of after an allotted period, giving you even more control over the power consumption and security in your building. Regardless of whether you run a factory, pub, restaurant, manufacturing plant, office, storage facility or big box store, PIR ceiling lights are suitable for businesses of all sizes across many different sectors. 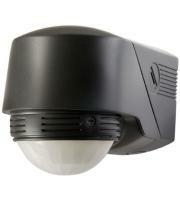 Shop for all of your security and lighting needs today, and save with the selection available at Direct Trade Supplies.